The Avenue of the Righteous is a non-profit interfaith organization devoted to honoring righteous actions during the Holocaust and to bringing lessons from that time to life today. 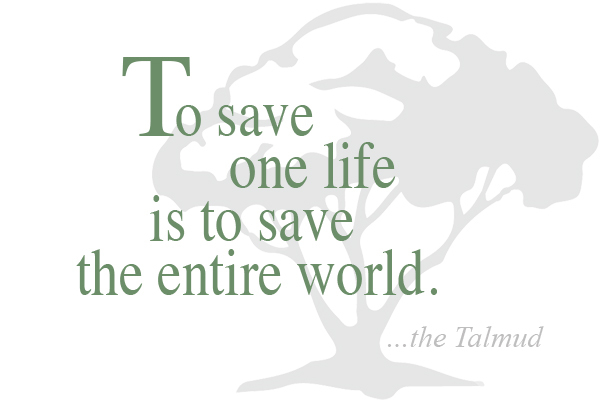 The Avenue seeks to identify the righteous who saved Jews during the Holocaust. The Righteous Gentiles who risked their own lives to save Jewish victims of the Holocaust. acts of righteousness today and raise public awareness of such acts. and encourage people to recognize their ability to make righteous decisions in their everyday behavior. In 1987, the Avenue of the Righteous was dedicated. Learn more about the Avenue here. To walk this path is to be surrounded by all that is noble and humane. It is an exalted atmosphere. In memory of Father Vancourt who put honor and justice above all else to stay true to the spirit of faith and human dignity. You can make a difference. We exist because of the generosity of supporters like you. Who were the civilian heroes of World War II who rescued the Jews? They were men, women and children; they were peasants, teachers, diplomats and clergy of all faiths. They were people who. during a desperate and deadly period in our history had the courage to care. Amidst the horrors of the concentration camps and the deaths of millions, a courageous group of individuals dared to challenge the Nazi regime. In every country occupied by the Nazis during World War II, stories of the rescue of Jews by non-Jews are known. They are honored as the "Righteous Among the Nations," a recognition established by Yad Vashem, the Holocaust Memorial Museum in Israel. The Avenue of the Righteous, modeled after the Jerusalem site of the same name, is located within Ingraham Park, adjacent to the Evanston Civic Center, 2100 Ridge Avenue. The creation of the park is part of an ongoing effort to educate the public on the role played by Righteous Gentiles in the rescue of Jews during World War II. You can make a difference. 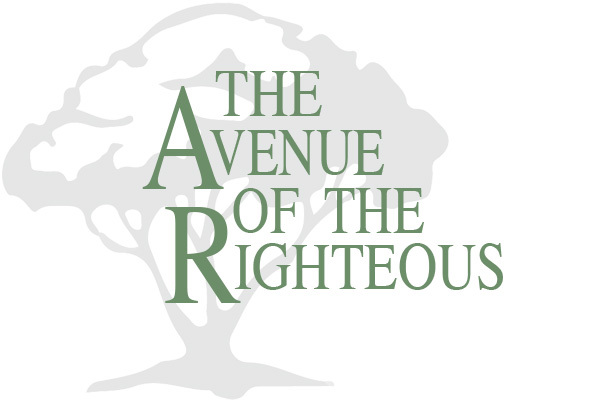 The Avenue of the Righteous is an Evanston based interfaith organization registered Illinois not-for-profit, 501c3. We exist because of the generosity of supporters like you. The Avenue of the Righteous is a non-profit interfaith organization devoted to honoring righteous behavior during the Holocaust and to bringing lessons from that time to life today. The Avenue seeks to identify the righteous who saved Jews during the Holocaust. © 2016 The Avenue of the Righteous. Design by DigitalChitown.